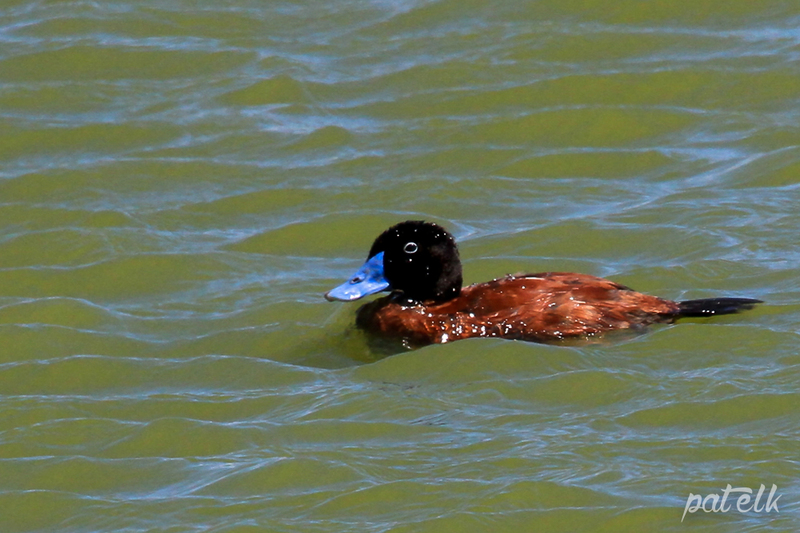 The Maccoa Duck (Afrikaans name Bloubekeend) is one of only a few ducks with a blue bill. It is an uncommon resident at freshwater lakes, dams and lagoons. We have been lucky enough to spot the at the Strandfontein Sewage Works.